Due to their flexible uses and the fact that they are small yet sophisticated pieces of equipment, drones could soon become as commonplace on construction sites as trucks and diggers. A recent report by Goldman Sachs estimated that the largest expected take-up for commercial drones would be in the construction industry. Such sizeable growth is evidence that business leaders no longer view drones as mere high-tech toys. Cutting-edge drone technology means that project managers can now perform site inspections in a cost-effective and efficient manner, all the while keeping employees away from dangerous environments. Getting an aerial view of a building or development is now easier and cheaper than ever. Drones have many possible applications within the construction industry, and whilst at the moment these are mainly in respect of surveys and mapping, further interesting uses include on-site security, on-site communications, gathering real-time data, transporting smaller goods without the need to hire expensive machinery, and examining hard-to-reach areas. We have even heard of construction companies using drones to monitor on-site performance. Whether you are a commercial drone operator or a consumer enjoying a hobby, you need to know the dos and don’ts of responsible drone use. The recent incidents at Gatwick and Heathrow make it clear why this new regulation and enforcement round is essential and hopefully raises awareness about the benefits of the rules and the risks unregulated drone use poses. Keep their drone in sight. Stay 150 ft away from people and buildings if their drone is equipped with a camera. Keep 500 ft away from crowds and/or built up areas if their drone is equipped with a camera. Avoid flying over or within 150 ft near to open areas with more than 1,000 people present. Adhere to their local council’s rules about drone flights in the area. Only fly their drones as and when it is safe to do so. Have a proper risk assessment/plan. It is also important to monitor employee compliance. Have suitable insurances in place. If a business owner or employer gets it wrong they could be prosecuted, fined and/or sued. Drone operators who ignore the height and airport boundary restrictions could be prosecuted. If a business is using a drone in the course of their business then they are responsible for the actions of their employees if someone is hurt or property is damaged. Long before the disruption at Gatwick and Heathrow new drone laws were scheduled to come into force. These rules, which come into force on the 30th November 2019, will without doubt create a new much needed legal framework. These rules will introduce safety features, such as having to register all drones with the CAA weighing over 250 grams and requiring all operators to take an online safety test to prove that they understand UK safety, security and privacy regulations. The new laws means that ultimately the responsibility to safely use the devices rests with the operators. We expect this to be reflected commercially in so far as qualified and regulated drone operators will without doubt dictate higher salaries. We do expect further regulations and police powers given the incidents at Gatwick and Heathrow over the Christmas period. Additional police powers have been proposed and the government plans to expand the use of ‘geo-fencing’ (an invisible shield based on GPS coordinates around buildings or sensitive areas like prisons and airports which are built into a drone to prevent it from entering the area). 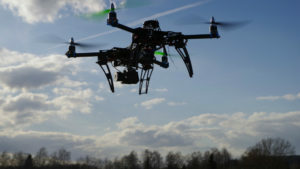 Anti-drone technology is also being researched by the Government and it is thought that drone operators will be told to use specific software to plan their flights to ensure they are not entering unsafe or no-fly zones and their flight paths will be visible to other drone users. What do you need to do about the new regulatory landscape? There is going to be an increased (and ever-growing) need for specialist training and skills. The new laws are evolving with the technology and the ever increasing use of drones by a wider audience. It is important to understand these rules and incorporate them into your policies and contracts. You need to have in place proper GDPR policies. You need to undertake privacy impact assessments in respect of the use of drones. Depending on the level and volume of data you collect you may need to appoint a DPO. You must ensure that your team has the relevant skills to operate the drones and that your employees are being regularly monitored in respect of this. Those operating drones will need training and all employers must be able to evidence that this has been provided and that their employee has the requisite skills. Employer’s should have clear policies on who can operate the drones, under what conditions and how employees should report GDPR breaches or other wrong doings. Your construction agreements, whether as a Main Contractor or Subcontractor need to include the use of drones and liabilities in respect of the same. Main Contractors should ensure that subcontractors are responsible for any breaches caused by their use of drones and have in place suitable indemnities to protect the Main Contractor. A Main Contractor should include the use of drone and compliance with drone regulations to its subcontractors due diligence enquires. You should ensure that they have proper insurances, licenses, GDPR policies and training in place. Further they should be compliant with all current and upcoming regulatory changes. 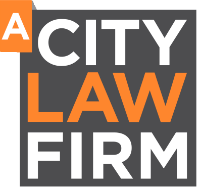 A City Law Firm have specialist Technology Lawyers on hand to draft your drone policies, review and draft your contracts & help you to understand the regulations and processes under drone rules and GDPR. Our lawyers offer practical and up to date advice, which is essential in this ever – changing landscape. Next articleHas Workday signed up Accenture?